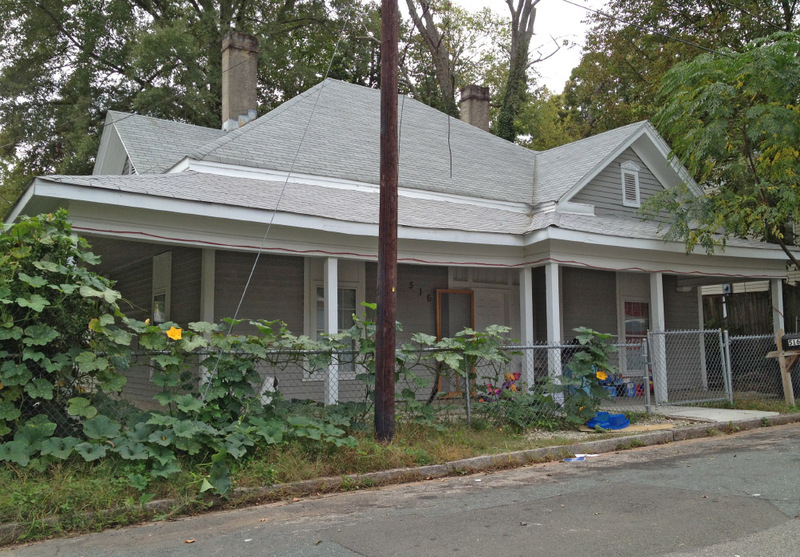 This one-story, three-bay, double-pile simplified Queen Anne-style house is nearly identical in form to the B. O. Vaughn House as 512 Ottawa Avenue indicating possible construction by the same person, perhaps as investment properties. The earliest known resident is John H. Malone in 1919. By 1924, the house was occupied by Mrs. Minnie Ellis, widow of C. H. Ellis. This one-story, three-bay, double-pile simplified Queen Anne-style house is identical in form to that at 512 Ottawa Avenue. The house has a steeply pitched hipped roof with wall gables on the side elevations and a one-story, hip-roofed rear ell extending from the left (east) side. A bay on the right side of the house projects slightly from the main façade and has a gabled roof with a boxed cornice, gable returns and a rectangular gable vent with pointed-arched surround and scrollwork. The house rests on a brick foundation and has two tall, interior stuccoed brick chimneys and an asphalt-shingled roof. It retains wood weatherboards, cornerboards, pointed- arched window surrounds, some with scrollwork, and beadboard soffits with small bed mold. 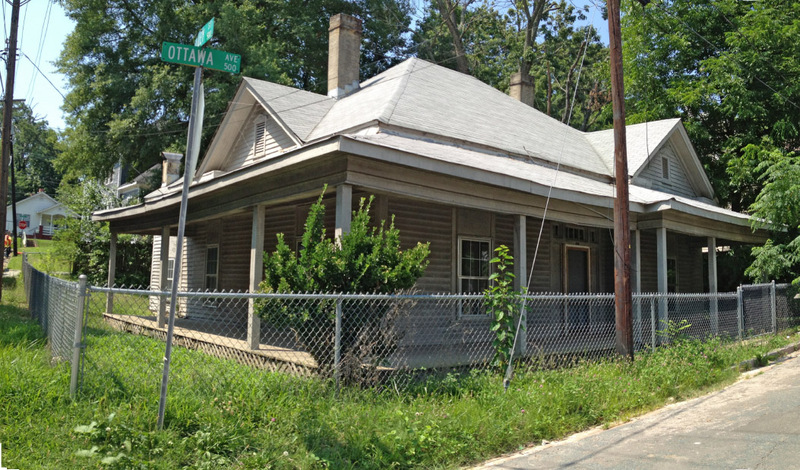 Its wraparound porch extends along Ottawa Avenue and Gurley Street, taking full advantage of the corner lot. The porch has a hipped roof supported by replacement square posts, a tall span with a raised bead that matches the fascia on the rest of the house, and a beadboard ceiling. The house retains original window surrounds, despite the installation of vinyl windows sized smaller than the original windows. A replacement six-panel front door has been installed beneath the original divided-light transom and sidelights have been painted over. The house is nearly identical in form to the B. O. Vaughn House as 512 Ottawa Avenue indicating possible construction by the same person, perhaps as investment properties. The earliest known resident is John H. Malone in 1919. By 1924, the house was occupied by Mrs. Minnie Ellis, widow of C. H. Ellis.